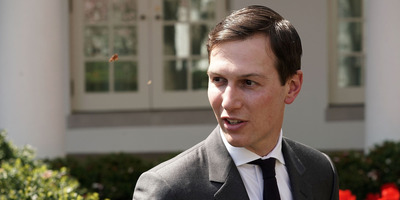 CBS reporter Errol Barnett told CNN on Wednesday that he was trying to ask Kushner about the mysterious disappearance of the Saudi journalist Jamal Khashoggi when the Secret Service agent covered Barnett’s phone and prevented him from speaking to Kushner. Kushner, who is also President Donald Trump’s son-in-law, reportedly has a close relationship with the Saudi Crown Prince Mohammed bin Salman. The prince has reportedly denied having any knowledge of the circumstances surrounding Khashoggi’s disappearance. The Secret Service defended an agent who physically prevented a reporter from questioning White House senior adviser Jared Kushner as he boarded a commercial flight. The announcement comes after a video emerged on Tuesday showing one of its agents covering up CBS News correspondent Errol Barnett’s phone as he tried to ask Kushner about the mysterious disappearance of the Saudi journalist Jamal Khashoggi. “Jared Kushner did not answer my question and the secret service informs me, while obscuring my phone, that despite identifying as WH press, there is a “time and a place” for questions. It is unclear when and where that is,” Barnett said in a tweet that included video of the encounter. Barnett responded to the Secret Service’s statement in an interview with CNN on Wednesday. “Now, you can see in the video, the very first thing I say is who I am and who I’m with, and I’m wearing the name of my channel around my neck, so you can make what you think of that statement, but from the Secret Service perspective, they don’t think this officer did anything wrong,” Barnett said. Kushner, who is also President Donald Trump’s son-in-law, is said to enjoy a close relationship with the Saudi Crown Prince Mohammed bin Salman, who himself has denied any involvement in Khashoggi’s disappearance. Khashoggi, a longtime Saudi critic, has not been seen since he entered the Saudi Consulate in Istanbul, Turkey, on October 2, and he is feared dead.